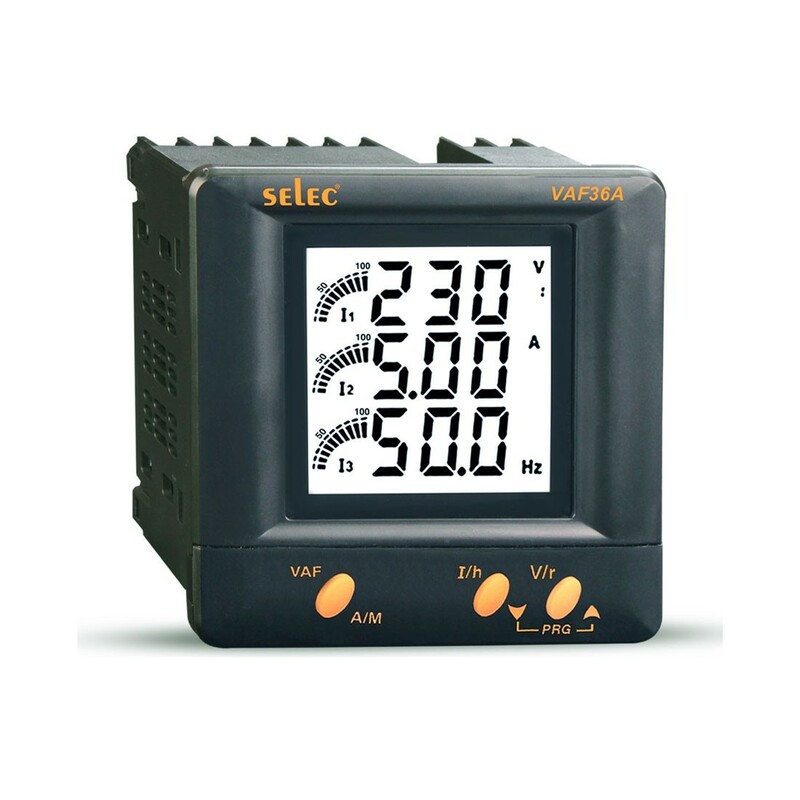 Easy to use three line digital meter can measure voltage, current, frequency, run time (hours-mins), and RPM for three phase or single phase applications. Has a three line display with 0.56" digits that can be programmed directly through the front keypad. Standard DIN 96mm x 96mm cutout lets you retrofit several applications, including settable parameters for CTs and PTs.